PM Shine is the name of Paul Mitchell’s newest line of ammonia-free, moisturizing hair color. When combined with Clear Shine, PM Shine produces an even-toned, lustrous and vibrant hair color on even the most dry and product ravaged hair. PM Shine is a demi-permanent hair dye, meaning that the color will fade slowly over approximately 25 shampoos, so if you do not like your final hair color, you do not have to live with it for long. Demi-permanent hair color also means you will not see roots. The moisture-rich formula makes PM Shine safe to use once a month to keep the color bright and your hair shining. Divide the hair into four quadrants. Part the hair down the middle, and then from earlobe to earlobe. Secure each section of hair with a clip. Mix 2 ounces of PM Shine color with 2 ounces of Processing Liquid in a bowl or application bottle. For dry, damaged or recently processed hair, dilute the coloring mix by replacing 1/2 ounce of PM Shine with Clear Shine. 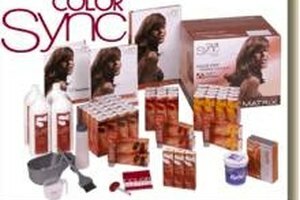 Damaged hair holds more dye and may turn out darker than desired if the with undiluted color. Protect your skin. Apply a thin layer of petroleum jelly around your entire hairline. 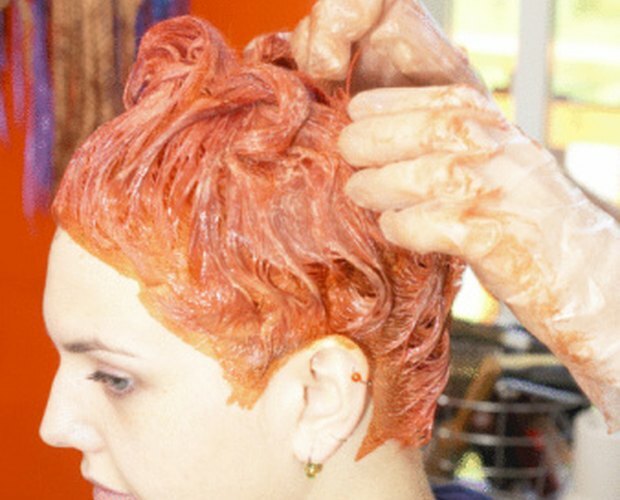 Put on rubber gloves before applying hair color. If you do get any of the hair dye on your skin, wipe it off quickly with a damp paper towel. Apply the hair color with either a bottle or a brush. Work with one section of hair at a time, adding color at the roots and working to the tip. Pile the dyed hair on top of your head. For longer hair, you may need to secure it with a clip or disposable shower cap. Allow the color to set for 20 minutes. Rinse out the PM Shine hair color with cool water. Hair cuticles expand and release hair dye when rinsed in hot water. Do not wash your hair for 48 to 72 hours. The longer you can wait to shampoo, the more deeply the dye will penetrate the hair cuticle. 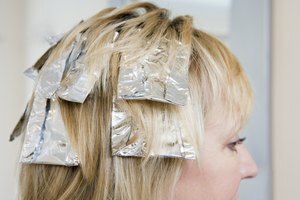 Before applying hair dye, wet dry or damaged hair. The added moisture allows hair cuticles to lie flat, providing even coloring from root to tip.